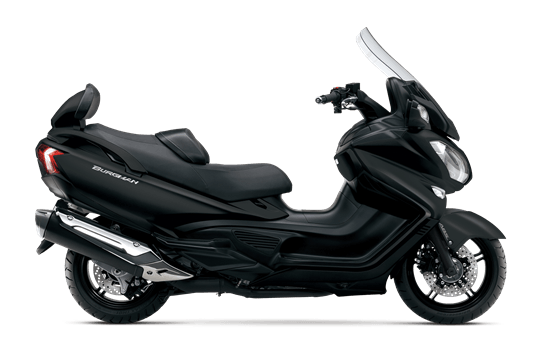 The Burgman 650 Executive ABS* provides you with outstanding performance through an advanced transmission with two fully automatic modes (Drive and Power) plus optional manual shifting. This Executive model is equipped with spacious ergonomics, smooth suspension, a plush heated seat, and an aerodynamically designed remotely adjustable windscreen. 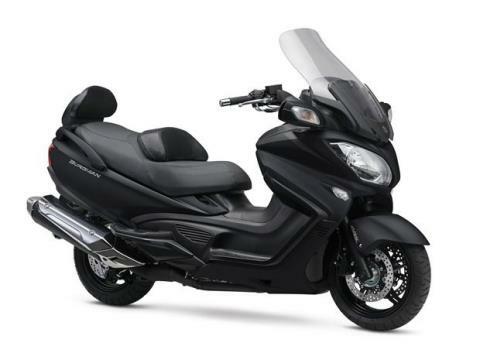 Additional amenities include heated grips for the rider and supportive backrest for the passenger. 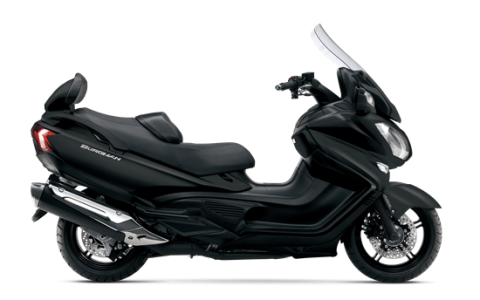 The twin-shock, swingarm style rear suspension has spring preload adjustment and contributes to the scooter’s impressive 1,014 lbs. GVWR rating. Lightweight, cast-aluminum wheels with a 14 in. rear tire and 15 in. front tire provide outstanding highway speed stability, good low-speed handling with a refined look. The seat is optimally sized and thickly padded for 2-up luxury even on long journeys. The rider’s backrest can be adjusted forward and backward by 50 mm for optimal support. No tools are necessary. Three compartments below the handlebars provide space for maps and other items you might need on the road. Lower compartment can be locked and the other 2 are push-open types. One contains a DC outlet that’s ideal for charging a mobile telephone. The sleek exhaust system with stylish triangle-section muffer effectively control sounds. SECVT offers 3 modes: 2 fully automatic CVT modes (Drive and Power) plus a Manual Shift mode controlled by a handlebar-mounted rocker button.